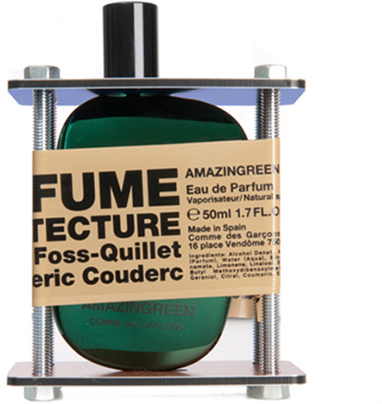 Under Construction: Comme Des Garçons’ limited edition perfume bottles. 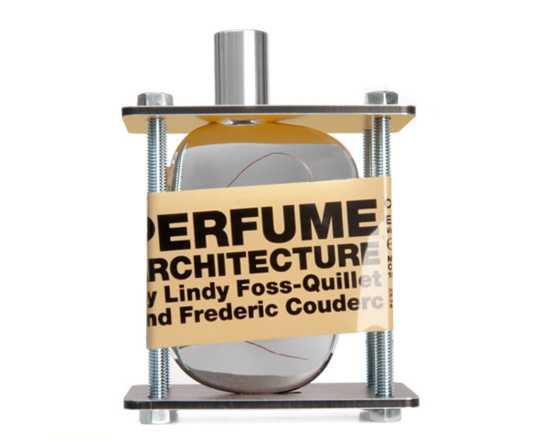 This winter, artist and painter Lindy Foss-Quillet and master carpenter Frédéric Couderc, one of the minds behind Comme Des Garçon’s unique store spaces, have given the brand’s emblematic perfume bottle a makeover. 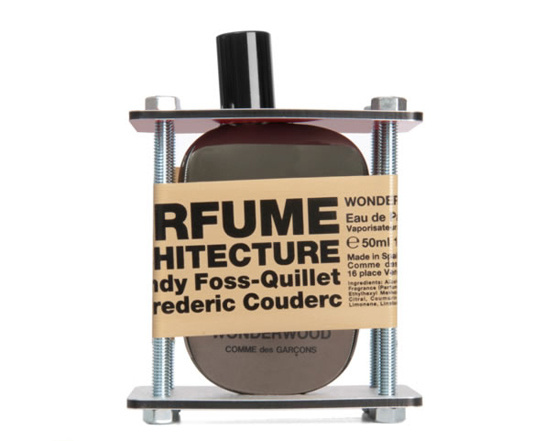 While they haven’t updated the entire shape of the bottles, the pair have brought a new industrial edge to the CDG2, Wonderwood and Amazingreen fragrances, adding colored Plexiglas and an altogether architectural, industrial vibe to the perfumes. 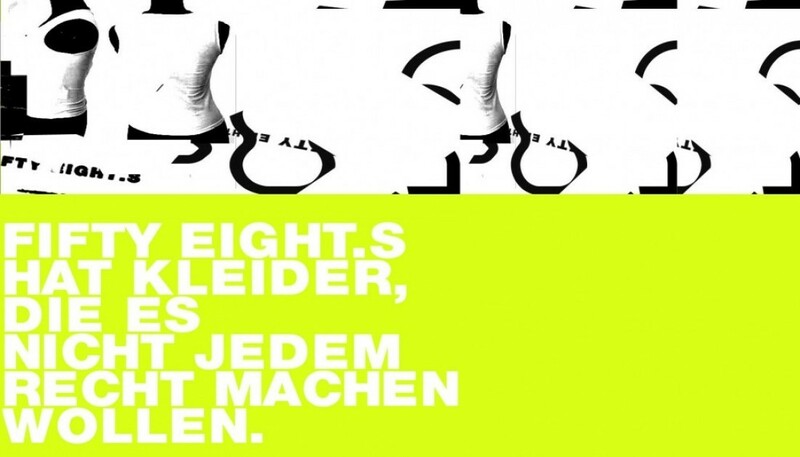 The result is the perfect play on contrasts which highlights the refined luxury of the scents themselves.